1. 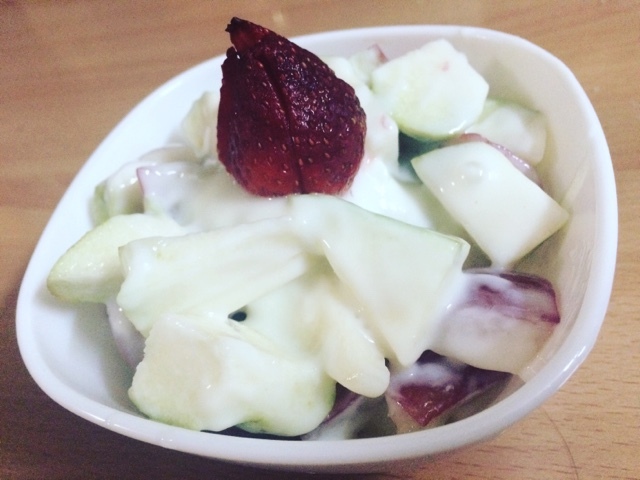 Cut Rose Apple and guava into smaller pieces. 2. Mix them with yogurt and aloevera. 3. Cut the strawberry and place it on top. What are you waiting for? Let's do it now!